To get a hybrid animal, two animals from different species, but from the same genus, must be crossed. The resulting animal will be a hybrid. This does not happen very often in nature, and most hybrid animals are sterile, but imagine the possibilities. The blood parrot cichlid is a cichlid hybrid. It was created in Taiwan around 1986, and are produced by cross breeding a Midas cichlid with a Redhead cichlid or a Red devil cichlid. 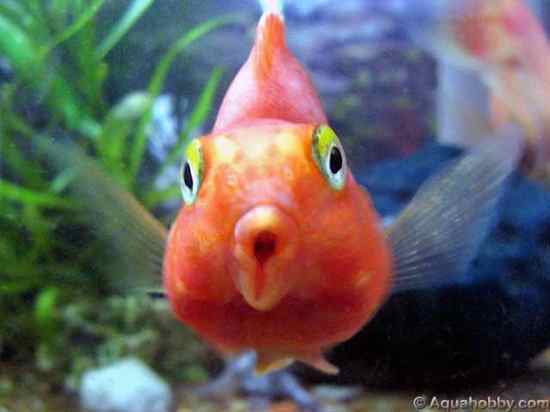 There is some controversy in the ethics when it comes to creating blood parrot cichlids, as they have several anatomical deformities, such as their mouth, which is only a small vertical opening and causes some to have difficulty feeding. Blood parrot cichlids are usually bright orange, but their color can vary to include red and yellow. Female blood parrots are usually fertile, whereas males are usually infertile, but there have been cases of successful breeding. 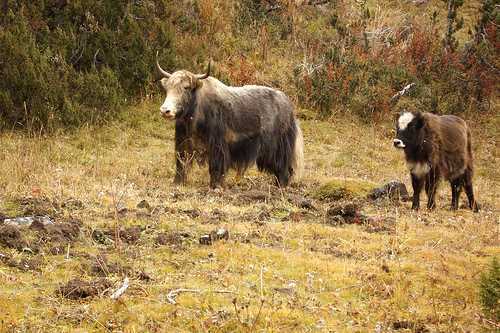 The Dzo or yakow is a bovine Hybrid, and comes about from cross breeding a Yak with a domestic cow. The resulting animal is much larger than a cow or a yak, and is thought to be much more productive in milk and meat production. All the females born from this cross are fertile, and they can be bred back with either of the original species. The males born from this cross are always infertile. These animals where originally bred in Tibet and Mongolia as working animals, as they are a lot stronger than either of their parental counterparts. The Cama was created in a laboratory in Dubai, and came from breeding a male Dromedary camel with a Lama. This animal was created with the purpose of making something with the size and strength of a camel, but with the easier temperament and higher wool production of the lama. Interestingly the cama are one of the few hybrids that are always fertile and this results from both the dromedary camel and the lama having the exact same amount of chromosomes. As the lama is six times smaller and lighter than a camel, the only way to obtain a cama is by artificial insemination, and there have only been about 6 successful cama births. The Grizzly-polar bear or Grolar bear has been seen both in captivity and in the wild and there are reported sighting of these animals from as early as 1964. Polar bears and grizzly bears generally distance themselves from each other. The Grizzly likes forested areas and always breed on land, whereas polar bears like the water and ice and even gives birth on the ice. 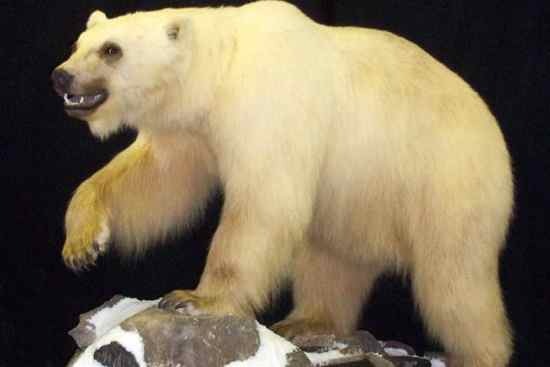 This fact made scientists come up with a theory that polar bears are being forced south as the polar ice caps melt, forcing them to the grizzly bears general territory. The grizzly-polar bear is a fertile hybrid, and there has even been a case of a second generation grizzly-polar bear that was shot on Victoria Island. After running DNA tests, it was established that the bear’s mother was a grizzly-polar bear and the father was a grizzly bear. The Coywolf is essentially a Coyote and a wolf hybrid, that regularly occurs in nature. So regular, in fact, that all known red wolves have been found to have coyote genes in their lineage. It is not clear whether this inbreeding has occurred as a result of Human development limiting their natural habitat, or if the Red wolf has just always been a hybrid. 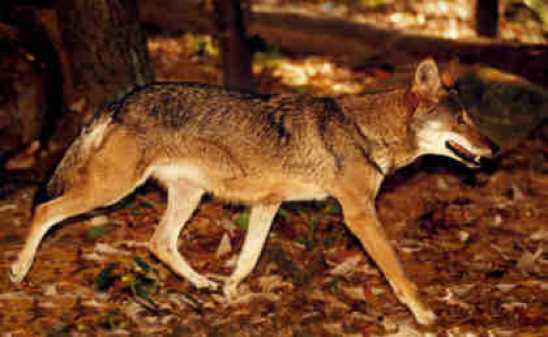 This animal has caused a lot of problems in the Canid taxonomy, as hybrids are not usually referred to as a different species, though convention would call the red wolf a sub species of the wolf, leaving its Latin name without a mention of its coyote genes. The Savannah is a fairly modern domestic cat creation that was accepted as a new breed in 2001, by the International Cat Association. 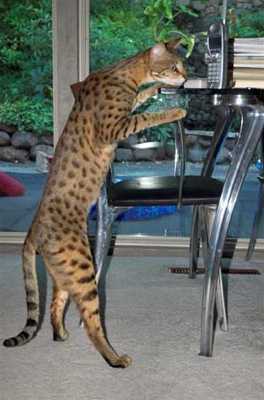 This cat is a hybrid of the domestic cat and the wild African Serval. Savannah’s are a lot more social than most domestic cat breeds, and have often been compared to dogs because of their extreme loyalty. The Savannah is a large cat with a very slim body. They are the highest jumpers, and the tallest cats in the cat world. Savannah’s can come in almost all colors, depending on what domestic cat was bred with the serval, they will always, however, have that spotted or marbled appearance. Depending on what generation hybrid the savannah is, will determine how wild and large the cat appears, and they often look very similar to a miniature version of a cheetah. The wholphin is an amazing “under the sea” hybrid that comes from a bottlenose dolphin having a successful pregnancy from a false killer whale. As its name states, the false killer whale is not a whale, but a very large breed of dolphin. These remarkable animals have been known to occur in the wild, but so far there are only two living examples of wholphins in captivity, and they both call the Sea Life Park in Hawaii home. 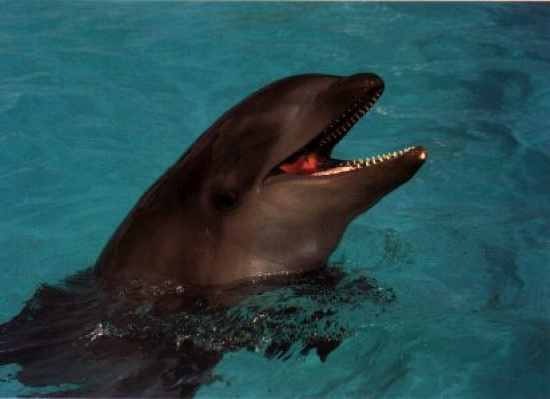 Kekaimalu was the first wholphin at Sea Life Park, and she proved to be fertile, when she gave birth at a younge age. Unfortunately, that first baby wholphin did not survive for long, and neither did the next baby she had, but luckily the third baby did. Her name is Kawili Kai and she became as large as a full grown bottlenose dolphin within two months of her birth. She now lives happily with her wholphin mom and bottlenose dad at the Sea Life Park. 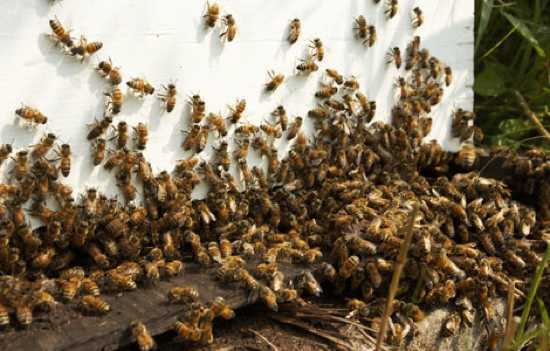 Killer bees, or Africanized honey bees, are hybrid mistakes. They first came to being in 1957, when a replacement bee keeper accidentally released 26 Tanzanian queen bees in between the rest of the bee hives, on a farm in South Eastern Brazil. The hives had belonged to biologist, Warwick E. Kerr, who had intended to interbreed European bees with Southern African bees, to create a strain of bees that would produce more honey and that would adapt better in tropical conditions than European bees. Since their release, the killer bees have multiplied and migrated. They can be found throughout South America and through most of North America, now. Africanized honey bees are highly aggressive, hence the name “killer bee”, and are known to move huge distances in massive swarms. When they are threatened in any way, they will attack, and their attacks came in large numbers. They will ruthlessly sting any threat to death, as happens to about two people a year in the US. The Liger is a hybrid cross between a male lion and a female tiger, thus both its parents are from the Panthera genus, but from different species. Ligers are the biggest of all the big cats, growing to almost the lion and tigers combined size. They carry characteristics from both parents, for instance their love of swimming from tigers and their highly social behavior from lions. 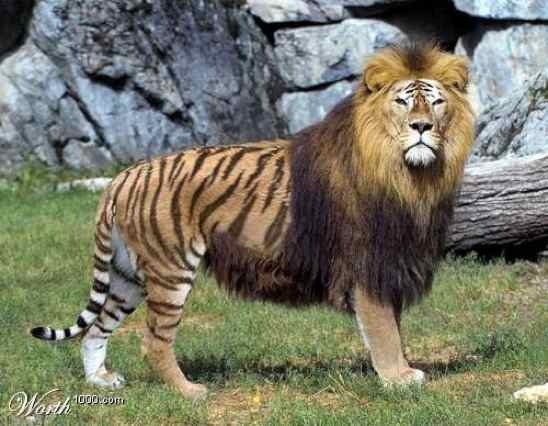 Nowadays, Ligers can only be found in captivity as their territories don’t overlap, but in history there have been stories of ligers found in the wild. Ligers were long thought to be sterile, but this theory was disproved in 1953, when a 15 year old liger was successfully mated with a male lion. The cub survived into adulthood, despite having poor health. At Jungle Island, a theme park in Miami, you can see Hercules. Hercules is a huge liger, with a weight reaching over 410Kg. Hercules holds the Guinness World record for being the largest big cat in the world. He is very healthy and is expected to live a long and happy life.